1) Porcelain outer surface with a metal base crown. 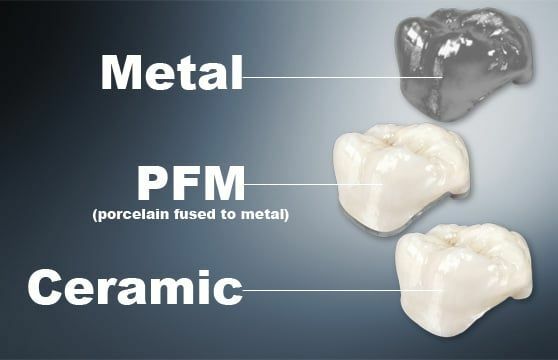 2) Pure porcelain or composite crown. 3) All metal crown, which is usually gold. They all differ in durability, strength, appearance and cost. Select a crown below to learn more about it.